I'm feeling a bit chuffed with myself at the moment as I've started putting together my SS18 wardrobe by doing a spot of shopping in the sales. Talk about prepared (and very unlike me!). The best bit is that all the high summer stuff is super cheap at the moment - and when your style is vintage, there aren't any 'trends' to keep on top of so you can buy repro stuff from any past season. My latest discovery is Joanie Clothing, purveyors of pretty clothes for nostalgic souls (their words, not mine - and which I love almost as much as I love their their collections). I like the idea that I might be a bit of 'nostalgic soul'. I've spent the majority of this winter so far wrapped up toasty and warm in slogan sweats and jeans or joggers so it's been extra nice to daydream about warm sunny days, wearing saltwater sandals and pretty sundresses. Even better, I've treated myself to a few new pieces to kick start my SS18 wardrobe. 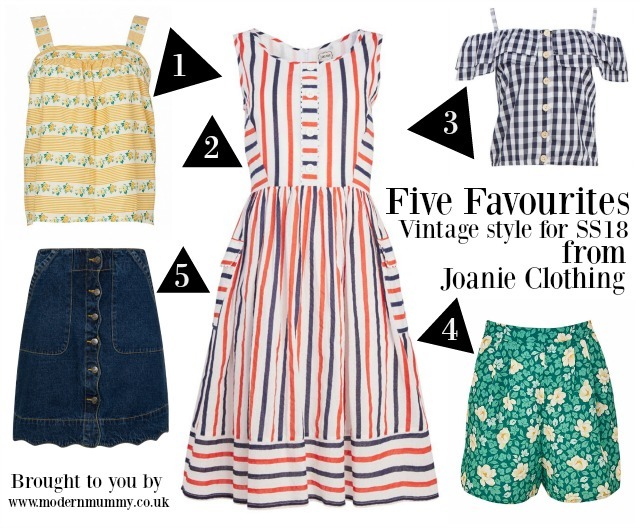 Here's a special Joanie Clothing Five Favourites edition - featuring four items I've already bought and one that's on my wish list! I have an old Cath Kidston sun top in pretty much this exact same style but I love this print so much more. I bought the skirt which has now sold out but love the dress too.... hello pockets! I'm imagining wearing this with black cigarette pants and high heeled clogs for an evening out. Last summer I discovered the joy of shorts - these are so pretty, and the perfect length (not too short!). 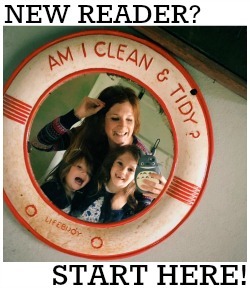 I've not bought this yet, but it's on my Pay Day shopping list! Such lovely detailing. Have you thought about what you'll be wearing yet this summer?